At its heart, GREY2K USA is truly a grassroots movement. Our supporters come from many different backgrounds and have diverse political views. Despite our differences we share one common value: we believe greyhound racing is cruel and inhumane and should end. In that spirit we are proud to be supported this month by Etsy for Animals (EFA). 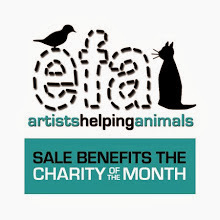 According to its website, EFA is a team of independent artists, craftspeople, vintage sellers and craft suppliers on Etsy.com who are dedicated to supporting animal protection causes. These compassionate creators use their talents to help animals, and chose GREY2K USA as their Charity of the Month for September. 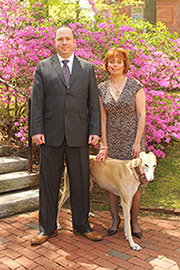 This nomination will help us fulfill our ongoing mission to fight for greyhounds and bring about change. That is probably why dog track promoters became so angry when they learned of EFA's choice to support GREY2K USA. The American Greyhound Council, the public relations arm of the racing industry, even sent out a national press statement calling EFA a "clueless group." Meanwhile, greyhound race supporters bombarded EFA with false information about GREY2K USA and tried to intimidate the artists with threats of a boycott. This response shouldn't come as a surprise. After all, the dog racing industry has a long history of bullying anyone who gives greyhounds a voice. In recent years they have personally attacked lawmakers, openly fantasized about the death of greyhound advocates, and threatened adoption groups who speak out. "It is not enough simply to continue to rescue greyhound after greyhound that has been purpose bred to race. The cycle of using these dogs as disposable commodities needs to end, and just like all other breeds of dog, greyhound(s) deserve to be born and live their whole lives as family pets." This courageous stand should be an example for all of us. Etsy for Animals was faced with a choice: to continue speaking up for greyhounds, or be silenced by promoters of a cruel industry. They chose to do right by the dogs, and for that we should all be grateful. On behalf of Team EFA, Etsy for Animals and as Team Captain for our group- I thank you for your kind words and recognition. We are, of course, inspired by Grey2K who face such challenges day in and out and we are grateful that your organization has stood its ground and kept at it. Your success is to the benefit of these animals and for that- we shall ever be in your debt for your 'good work'. Thanks Nicole, for everything you do to help animals! We are honored to partner with you. As a member of EFA and the charity of the month treasury leader, I am proud of what our team does and the stance it took for greyhounds when members were inundated with nasty emails and denigrated by all manner of name-calling. We fully support the work of Grey2K, and I spoke that loudly and clearly to those who emailed me and in my own email to Gary Guccione of the National Greyhound Association after reading the "clueless" post. I am more than happy to stand with Grey2K and be a voice against greyhound racing and I will continue to do so even after this month has passed. Grey2K will remain on my list of organizations to support because I believe in what you do and I'm thankful for your work, your values, and your dedication. "Always stand up for what you believe in, even if it means standing alone" - applies here & to so much else in life. Proud to be part of EFA & proud to be supporting Grey2K USA.